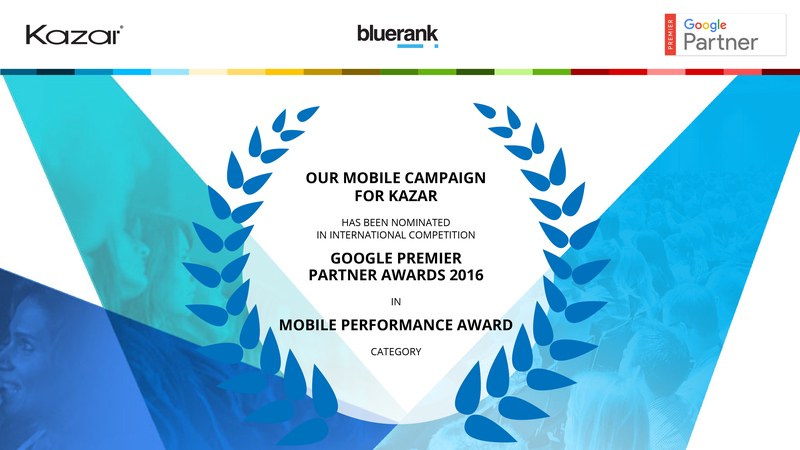 Success story of the campaign that has been nominated in Google Premier Partner Awards 2016 competition in Mobile Performance Award category. 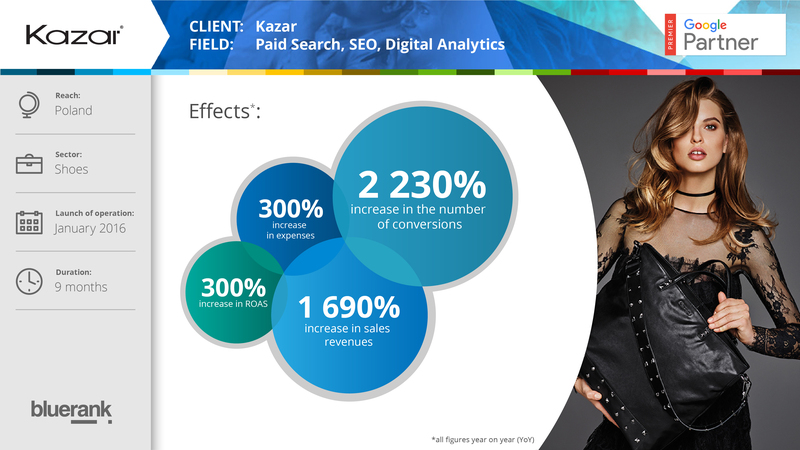 Kazar is a brand which presents top fashion and trends. 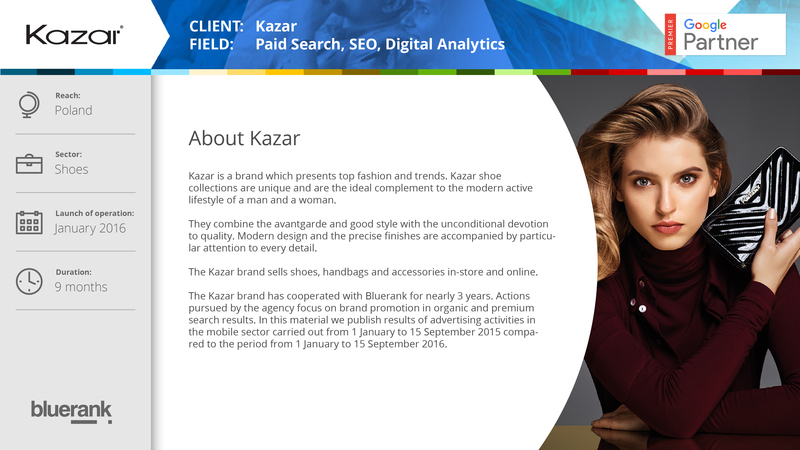 Kazar shoe collections are unique and are the ideal complement to the modern active lifestyle of a man and a woman. 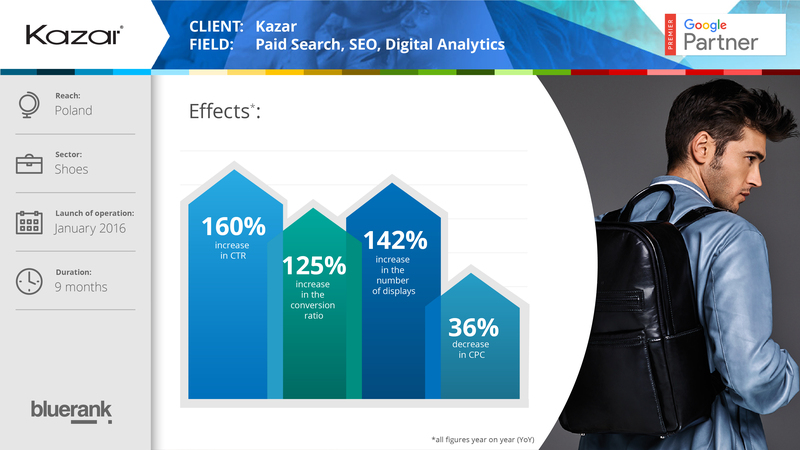 They combine the avantgarde and good style with the unconditional devotion to quality. Modern design and the precise finishes are accompanied by particular attention to every detail. 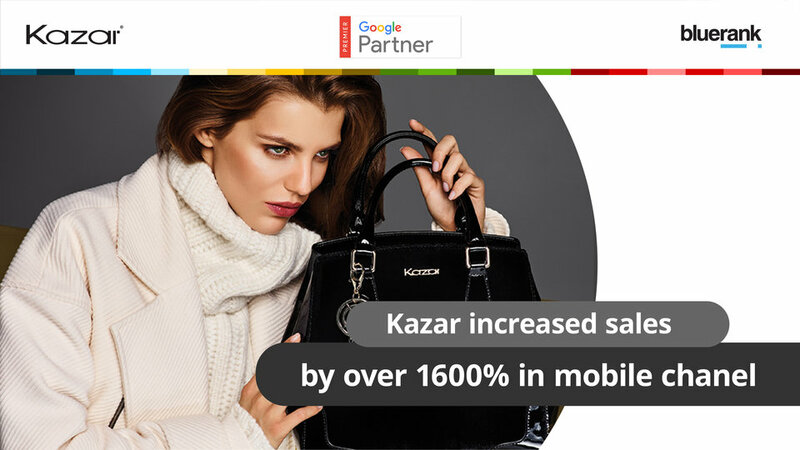 The Kazar brand sells shoes, handbags and accessories in-store and online. 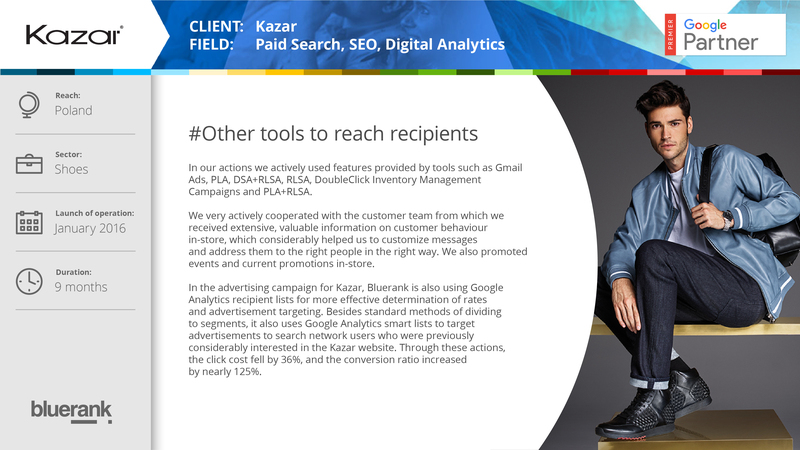 Kazar has cooperated with Bluerank for nearly 3 years. 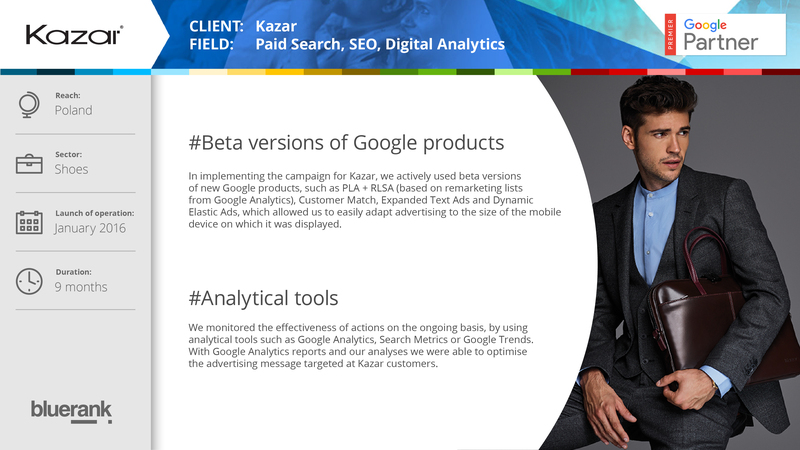 Actions pursued by the agency focus on brand promotion in organic and premium search results. 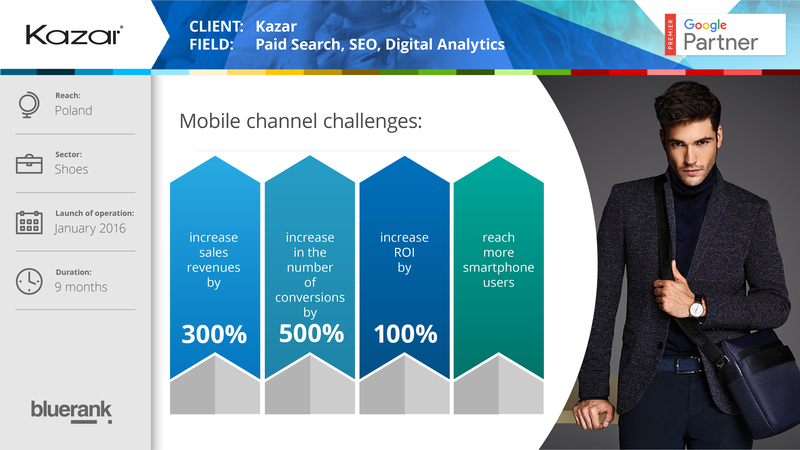 In this material we publish results of advertising activities in the mobile sector carried out from 1 January to 15 September 2015 compared to the period from 1 January to 15 September 2016. 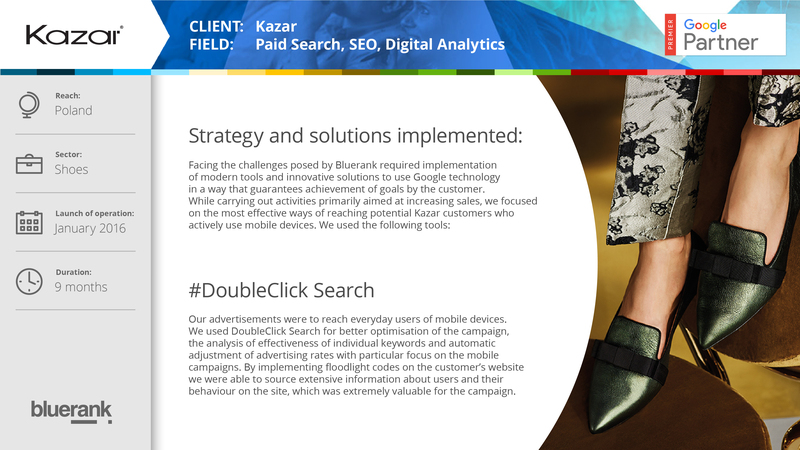 See the success story of the campaign that has been nominated in Google Premier Partner Awards 2016 competition.